A few Sunday mornings ago, I was teaching* class. It was one of those lovely classes where everyone spaced themselves so beautifully in the three rows of our practice room; people hardly took their eyes off of their focus points for the entire warm-up portion of class. We were finishing up the standing series, on the second side of Toe Stand, when one of the great yoga lessons emerged. One of my long-time students, Amy, – who has been with us for around 120 classes, since summer 2013 – was in one of her usual spots in the third row. She smiles quite a bit in and outside of class and really enjoys the learning process. She is a joy to have in class and at our school. I saw that her left knee was high up above her right, as was common for her. I thought I would see if – through our constant teacher-student communication in class – we could make the next posture adjustment happen for her. I noticed that instead of trying these things, Amy was very focused on something else; putting her hands together in front of the chest. Nothing wrong or ultimately bad about it, but – as long as she is not having knee pain – it is not where the posture would be most beneficial for her at this point in her practice. The hands element is relatively unimportant relative to the leg, spine, and abdominal control in this posture. 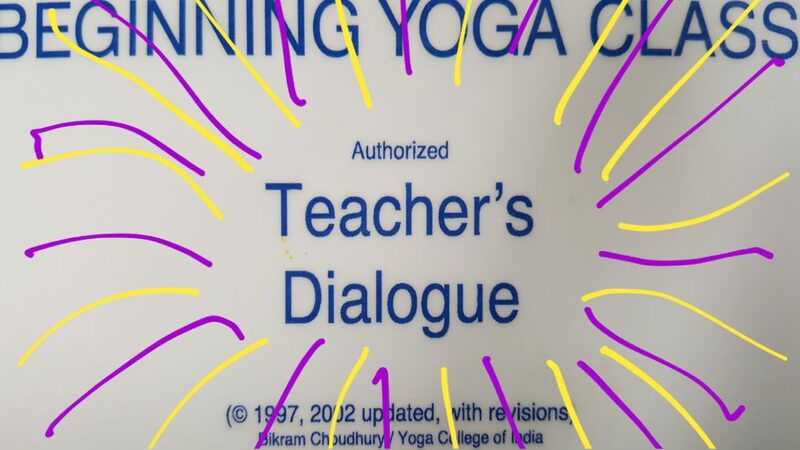 The direct instructions of the Dialogue that we initially learn as Bikram Yoga teachers really is and – in my opinion – can/should be used constantly as a dialogue. When used well, the teacher is gaining at least as much information about the student as the student is receiving from the teacher. So, in those moments, I did not perceive that my instructions had gotten through successfully. After everyone had rested in savasana, I checked in with her. By this point, Amy (and half the class) was smiling and nodding quietly. “Monday does not exist. Friday does not exist. These labels are made-up entities when it comes to your ability to breathe well or absorb an instruction. Please do not let them control you. They only exist for the purposes of getting to the right place at the right time with the right people. Days of the week are for scheduling function only. Then I settled down and we all had a lovely, light, quiet minute in savasana. Yoga leads to nothing less than self-transformation. Yet so much of what I call “myself” or you call “yourself” is essentially the cultural baggage that we have picked up along the way. I think I am original in my suffering. You think your stress is special. And we actually try to preserve our suffering and stress in order to be unique, post-modern, identity-based individuals. All of this is an aspect of human nature, of course. But it is not permanent, static, nor completely inevitable. And that is what the yogis have always understood. 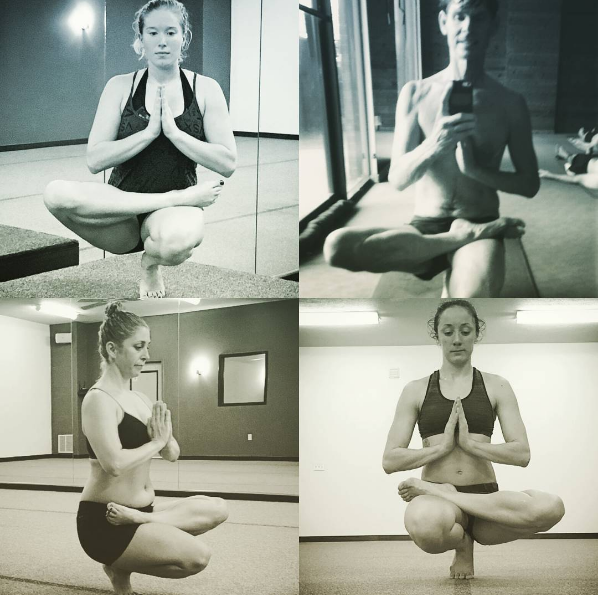 The deeper I go down the yoga path, the more I see how subtle this process is. The stories we have culturally, collectively created and absorbed have so much power over us that they affect our individual, moment-to-moment ability to breathe. To focus. To listen. To do a task at hand. And to live in our physical bodies in a fully alive way. We not only are emotionally, neurologically, and respiratorially** controlled by things like “TGIF” or the dread of Monday, but by a stressful week that is 100% in the past. Yoga leads to nothing less than transformation of the cultural stories that control our bodies. It is you, your cultural baggage, and ultimately, how you live your life. Ann is an amateur ethnographer who happens to have experienced, witnessed, and facilitated ridiculous amounts of healing and transformation through Bikram Yoga, Isha Yoga, and medical anthropology. *Lately I have decided to stop calling myself a “yoga teacher”; it has become meaningless in this country. **I admit that I made this word up, but I am sticking to it.